I hope 2015 will be a different year for Ethiopia. I hope democracy will finally flourish in our country. History tells us that, Ethiopia’s present and future, for a long time, has been determined by not the will of our people but by succession of rulers who have subjected us to perennial repression. In a world where legitimate political power is talking precedence, even in many parts of Africa, it is our duty to our generations and the generations to come to change that reality for Ethiopia. Take for instance, the current Ethiopian government and the way it its conducting itself to Ethiopia’s 90 million populations. The current government has controlled state power by force and has failed to listen to the demands of its people as it has increasingly become a depriver of freedom and democracy to our people. That is not right. Despite having the opportunity of ruling our country for the last 24 years–albeit by force—the government is an unfortunate regime that has been unable to guarantee good governance, justice, democratic and human rights for which it had supposedly struggled in the name of the people. 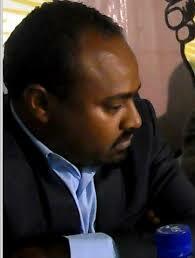 The fact of the matter is that, the Ethiopian government chooses to repress than listen to the people. (As has been said often, EPRDF has a mouth but does not have the ears nor will of the people). We should not allow shiny buildings nor instant created multimillionaires to help us be bling with what is taking place in Ethiopia. When I came into politics, as part of my civic obligation, it was because I strongly believe that a better political culture can be created in this country. That this culture can be brought only by waging a committed struggle based on sound strategy and tactic; it was because I wish to contribute my share. I fully know that my county’s problems are numerous and complex and cannot be solved by an individual. However, I firmly believe that an individual’s share can contribute to hastening the process of change that we all long to see. Our party, Unity for Democracy and Justice (UDJ), has paid, and is still paying, precious prices in order to extricate our culture of democracy from being a mockery and a fraud and to transit the Ethiopian people from oppression to becoming a source of power. The members of our party are engaged in a bitter struggle and are anxiously waiting for the change. When I was elected as the leader of this major party, my burden has been to see the realization of the change for which the members of UDJ have sacrificed so much. My further burden is being able to see the Ethiopian people regaining the power that has been taken away from them by dictatorial rulers, declaring a victory against hatred, limitless political abuse and selfishness and build our country on a solid foundation of freedom. The task before us is heavy; we have to work much and fast. Soon after assuming responsibility in the party, we have been able, in close collaboration with our members and supporters at home and abroad, to lay the foundations that we believe would contribute to the success of our struggle. For example, UDJ has been able to print its newspapers with its own printer and take its political activities to the people. Because the media is considered as an enemy by the ruling party, it is subjected to a campaign of total eradication. As a result, we have been able to create an alternate media. We have two medias: Finote Netsanet and “The Voice of the Millions”. In addition, we have a monthly publication titled: DANDI, our theoretical journal for presenting the ideology and alternative policies of our party. It is ready for launching. Our alternative policies and Manifesto are prepared and will be presented for public discussion. These are the “trains” that are ready to take us to the “2015 for Change”. UDJ has not only held a successful Congress within less than a week but it has also conducted a training for over 400 of its leaders coming from the country’s zonal and woreda party structure on how to use “2015 for Change” with the proper strategy and tactic. Furthermore, UDJ particularly believes that genuine opposition parties should be engaged not in undermining each other but rather in working together for their common democratic cause. We are prepared to mobilize our supporters, be sure that they are registered for the election, secure the ballot paper, vote and, above all, guard their voice from being stolen. This way, the people would be able to show that it is only they that can bestow or deny sovereign power. And to demonstrate this, we have put aloft our slogan: “2015 for Change”, and officially declared our broad campaign. If the people are denied their voice, they are prepared to force the regime to submit to their will with their power of disobedience. The Millions of Voices for Free and Fair Election has been officially declared and implemented. As we promote “2007 for Change”, we must consider the objective reality of the political situation in our country and of the expectation of our people. The fact that UDJ has been able to organize a successful Congress within less than one week preparation, clearly demonstrates that it has the capacity to lead the “2015 for Change” effectively. But this does not mean that everything will be burned on UDJ. It will require individual, organizational and social collaboration. This is a time when every individual has to contribute its historic share and to ask each other what we have done to bring results. We are ready to do what needs to be done. What about you? The business of the nation is the business of each of us. Finally, I wish to be allowed to put a short request. All supporters of change should have a firm faith in the success of “2015 for Change”. Each one of us Ethiopians at home and abroad must make ourselves part of this change. Let us be supporters. Let us demonstrate our change in practice.